A fab personalised stripey T shirt for your little one by Meenymineymo. 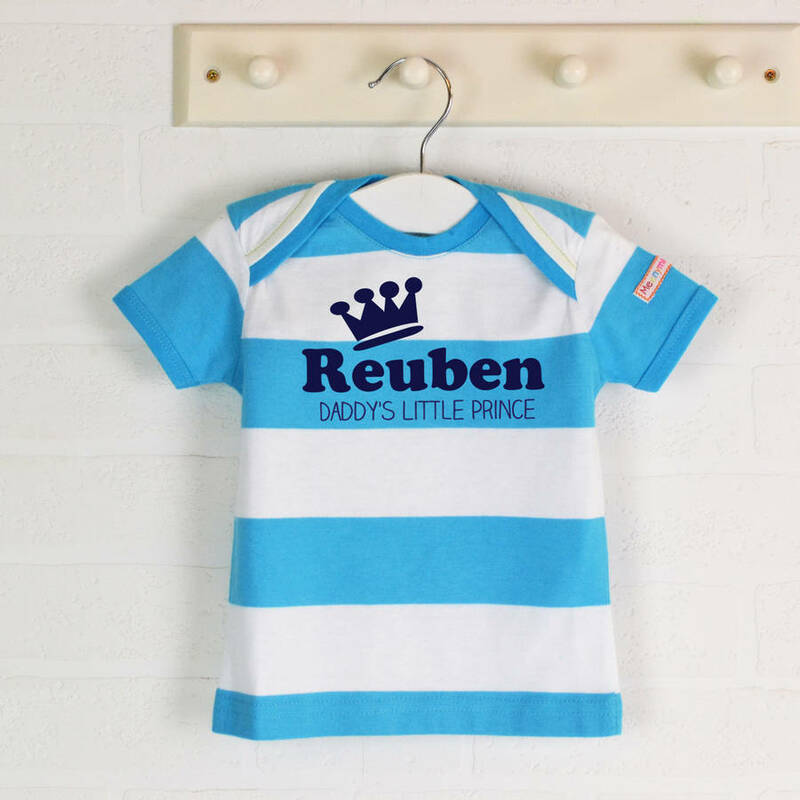 This personalised top will be a hit as it's super soft and completely adorable! It makes a great, unique gifts for birthdays, christenings, christmas etc. With the contrast colour stitching and neck binding, the Meenymineymo range stands out leaps and bounds above the high street fayre, with all this attention to detail and quality. Plus, with a retro style slim fit, this will soon become a wardrobe favourite for any fashion-savvy tot! 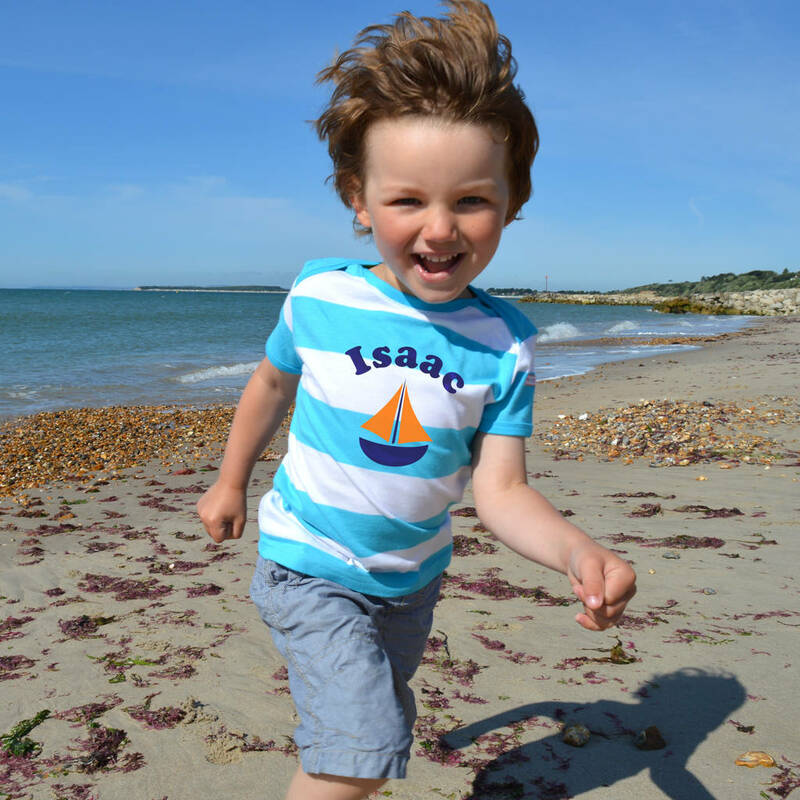 It is personalised by hand with luxurious velvety flock graphics, and can be machine washed and ironed over and over. Envelope style neckline means easy dressing over babies/childs head! Please note, the sizes work out, on average, correct for age, but as this is not pre-shrunk cotton, there may be up to 5% shrinkage. Reshaping whilst damp is recommended. 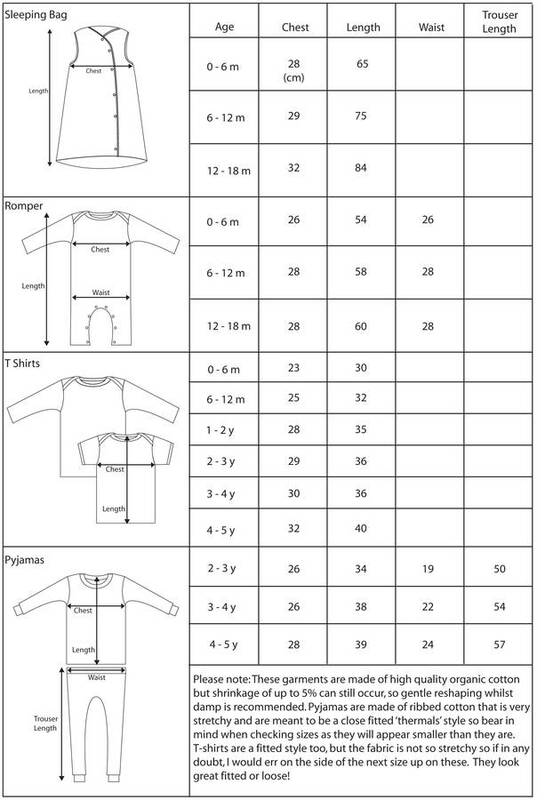 Please check size chart if unsure, or don't hesitate to contact us with any questions. If the child's name is very long please bear in mind the design format may have to change slightly to accommodate. Please ask for a mock up if you would rather see it before committing to buying. 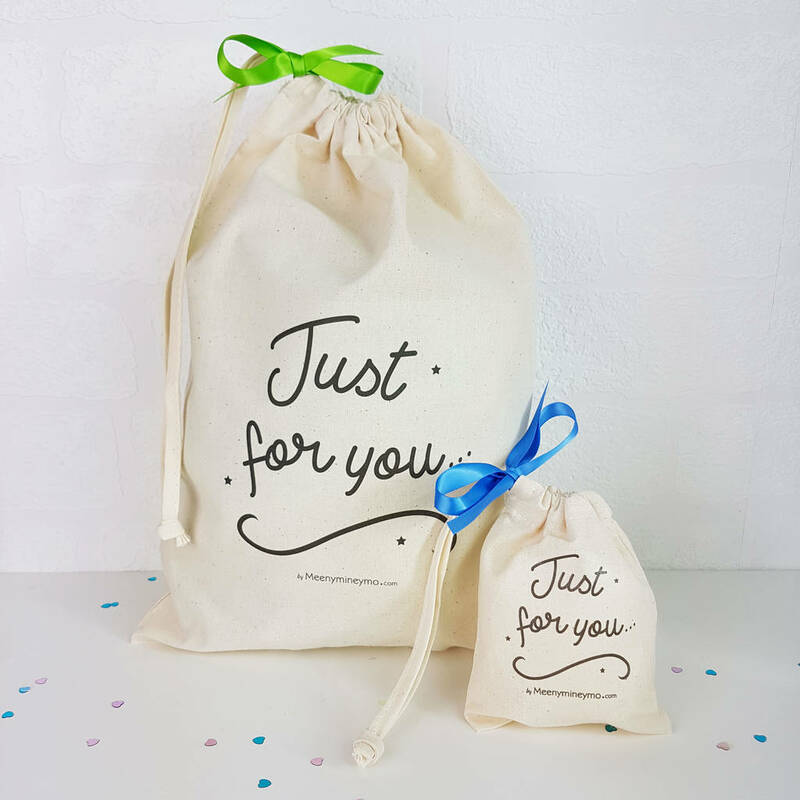 Why not have it gift wrapped in our rather lovely printed natural cotton bag and send it direct? Please remember to add gift options and select a gift receipt and no prices will be included. 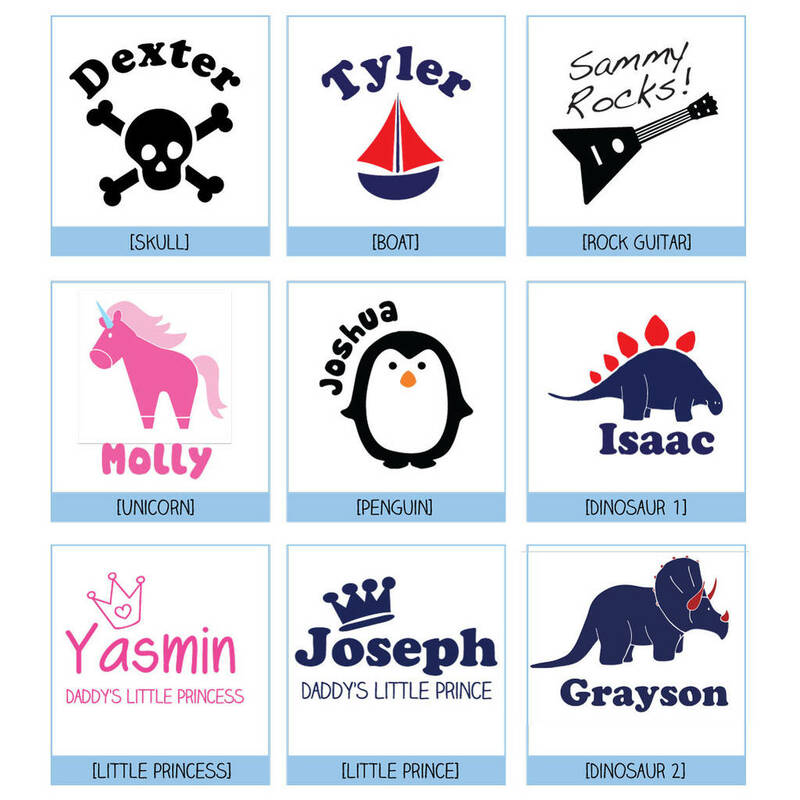 All Meenymineymo's personalised gifts are made to order, therefore the sky's the limit in terms of personalisation! If you would like anything specific designed especially for you, or just simply changing fonts / colours etc. then please don't hesitate to contact us through the Customer Enquiry button.